The California Turbo ranks among the sleekest sports cars to have rolled off the Ferrari production line, but this powerful car comes with a price tag to match. On this test drive, experience the raw power of the California Turbo’s 8-cyclinder engine. 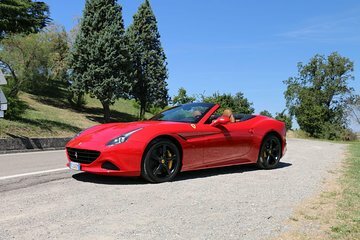 Choose the duration to suit your preferences—from a short spin through the streets of Maranello to a full-throttle ride into the Italian countryside—and take the wheel with your professional instructor in the passenger seat.